Changing up your hair with fun, new styles is always a fabulous way to update your look. 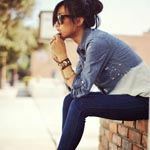 Lately, I’ve been totally into experimenting with new hairstyles and have rounded up some amazing tips from the pros on how to replicate some of the hottest hair trends. Whether you want to try out a bohemian updo like Lauren Conrad, a relaxed chignon like Hayden Panettiere, tousled curls like Olivia Palermo, or full, or wavy extensions like Katie Holmes, we’ve got the expert tips and product picks to help you on your way! Find out how to get the looks pictured above after the jump! 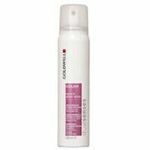 – Apply Goldwell Flexi Whip Flexible Mousse, $16, to damp hair. – After your hair is dry, part it in the middle or to either side and spray Goldwell Light Kiss, $16 (a flexible hold hair spray) all over. – Take a small or large section of hair and wrap it around your finger in a circle to create a pin curl. – Press the iron closed for 15-20 seconds to create the perfect curl that a curling iron can’t achieve. 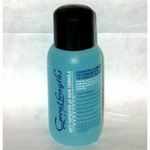 – After your locks are flowing oh so lovely, seal the deal with Goldwell Leave-In Gloss Spray, $12.99. 2) Tips from Redken Session Stylist, Giovanni Giuntoli for a romantic renaissance style seen on Lauren Conrad. 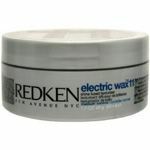 – Apply Redken Guts 10 Volumizing Spray Foam, $15, onto the hair and blowdry using a round brush for a voluminous base. – After, gather hair to one side behind the neck and secure in a loose ponytail. – Next, take random-sized sections from the ponytail and randomly curl the ends. Sculpt the curled-ends by scrunching in a little Redken Electric Wax 11 Shine-Fused Texturizer, $17, mixed with Redken Outshine 01 Anti-Frizz Polishing Milk, $16, with your palms to relax the curls and add shine. – Dress the ‘do by securing each curl around the base of the ponytail with a bobby pin, concentrating the pinning on the side of the head and overlapping pieces on top of each other. “The ponytail is the foundation to which you can be creative with the pinning of the pieces, to express your own personal style,” says Giuntoli. – Finish by carefully drawing random pieces around the face for that worn-in look. 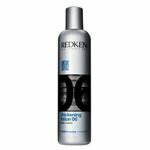 – To create a voluminous base, work Redken Thickening Lotion 06 Body Builder, $13 into damp hair and blow-dry the product in towards the back of the head. 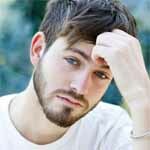 – Section out a 3-4 inch front portion of hair at the forehead, and secure away from rest of hair to use later on. – Using a wide-tooth comb, loosely pull the rest of hair back into a ponytail just at ear level. 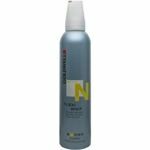 Mist Redken Spray Starch 15 Versatile Ironing Spray, $13, on the ponytail ends for added heat protection, and curl sections with a 2-inch iron, alternating curl directions. – To add texture, lightly backcomb the curled ends through entire ponytail with a bristle brush. Then gently wrap the pieces circularly around the ponytail base and securing into a chignon, pinning sporadically as you wrap around and letting the bun fall into place naturally. “The trick here is to use approximately 4-6 bobby or hair pins, that way it doesn’t make the bun look overdone,” says Giuntoli. – Add height to the look by taking the front portion that was sectioned away and pulling it back with your fingers until it almost meets the top of bun – secure with bobby pins so it blends nicely into the look. 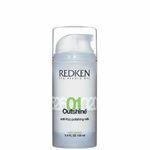 – To finish, spray a bit of Redken Workforce 09 Flexible Volumizing Spray, $15, into your hands and work through the top and sides of the head to secure flyaways and get a polished perimeter. – Professional Extensions. Try Great Lengths Extensions– a semi-permanent extension system used by some of Hollywood’s elite. In addition to the superior quality of the human hair used by Great Lengths, the other reason it’s favored among celebs is because of how safe and gentle it is on one’s real hair. Unlike other hair extension systems, the integrity of one’s natural strands is never compromised and applied in-salon by certified stylists, so the only risk one tales by having them is looking better than before. – Great lengths is available at thousands of fine salons across the USA, click here to locate a salon near you. – DIY Extensions– If you want a quick fix, opt for Hairdo Clip-In Extensions by Ken Paves and Jessica Simpson to simply transform your entire look in seconds. 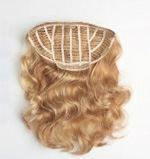 Hairdo Clip-In Extensions are a one-piece extension system that clips into your hair, adding volume, texture and length. they are available in variety of lengths, styles and shades, so you can makeover your look every day. I like tousled hair but this summer Im all about messy/wet look! Love the tips and something new to do with my giant CHI flat iron!! Love curly hair but mine is so straight!! Loads of girls tell me they love my hair cause is straight and they want to be like mine. Curly hair only last few hours on my head.